This meaningful sterling silver gift features handwritten script from one of the most popular Psalm verses. It will bring peace and comfort to whoever wears it. English translations often render Psalm 23:6, “Surely goodness and mercy will follow me all the days of my life.” Scholars say the original text translates more like, “Surely goodness and mercy shall hunt me down.” It’s a much stronger picture of how strongly God wants to pursue you with his blessings. 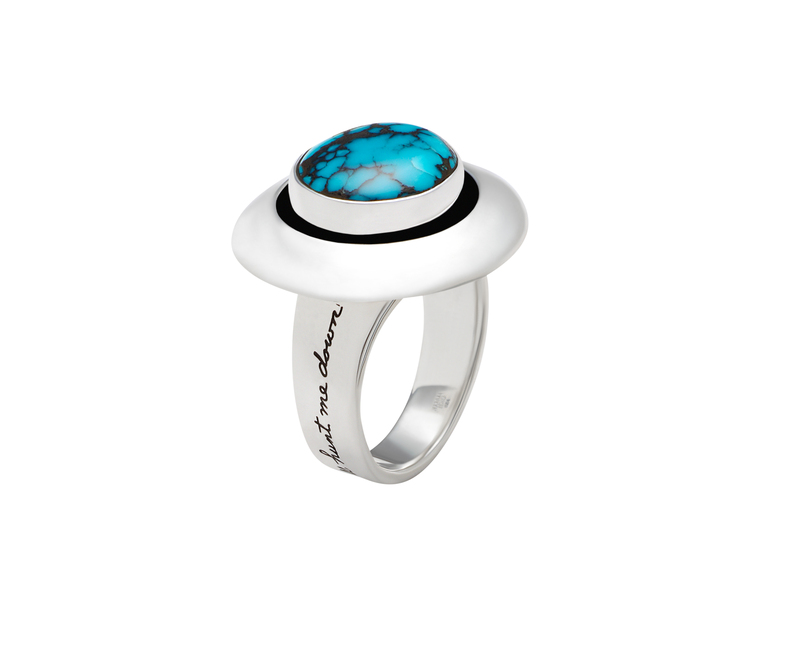 The turquoise stone helps the wearer reflect deeply on the classic 23rd Psalm. She can feel the soothing lake-colored stone and think about how the Lord promises to lead her beside still waters and restore her soul. Many believe Turquoise carries protective energy that lifts the spirit. The sterling silver ring is available in sizes six and seven.